Paridhi aka Loveleen Kaur Sasan, a punjabi girl engaged to a south Indian businessman Koushik Krishnamurthy from Bangalore. TV Industry stars are ringing in this year with weddings. After telly couple Rochelle Rao, Keith Sequeira’s beach wedding, Loveleen Kaur Sasan also known as Lovey has got engaged to a Bengaluru based businessman, Koushik Krishnamurthy, last night. The actress rose to fame with Paridhi’s character in Star plus’ popular TV show ‘Saath Nibhaana Saathiya’. 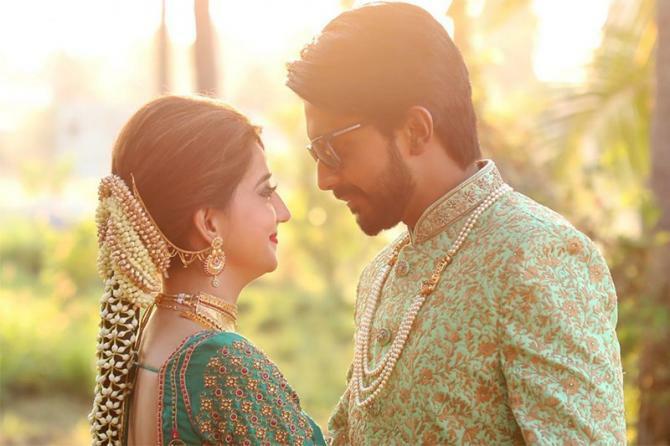 Lovey Sasan engaged to a south Indian businessman Koushik Krishnamurthy on March 8, 2018. 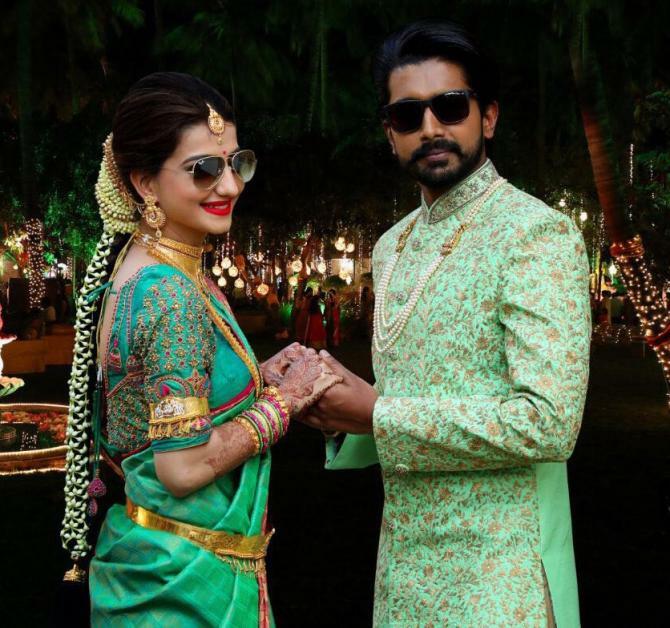 The actress had a ring ceremony in a traditional South Indian style, wearing a pretty mint green Kanjeevaram with a heavily embellished blouse and south Indian jewelery. The engagement of Punjabi kudi with south Indian boy remind us ‘2 States‘ movie. The actress had quit the in March this year and is currently on a break. Lovey Sasan gathered huge army of fans with other hits shows Bade Acche lagte Hain, Kya Hua Tera Vaada, Anamika including Saath Nibhaana Saathiya. Next : Disha Vakani aka Daya of ‘Taarak Mehta Ka Ooltah Chashmah’ to finally quit the show?